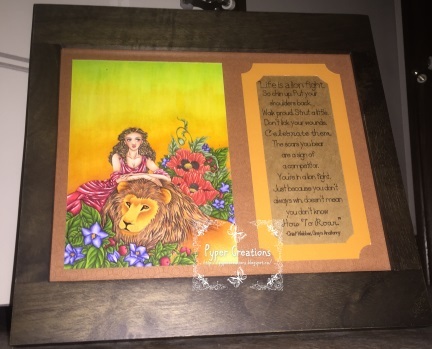 Pyper Creations: Aurora Wings Challenge #51: "Celebration" matted print using "Circe Lounging with Lion and Flowers"
Aurora Wings Challenge #51: "Celebration" matted print using "Circe Lounging with Lion and Flowers"
Hello everyone!! Have you been missing me? I've been missing you!!! I have a folder on my computer with seriously like 100 pictures to upload and share with you all but I think its gonna be into July before that happens sadly!! 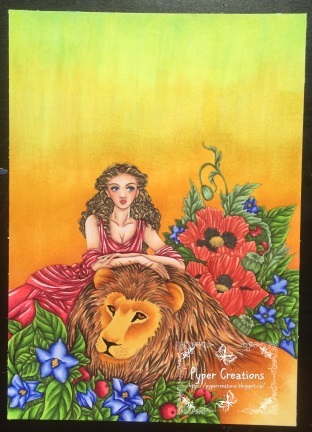 However, today I have a fun project to share with you using Aurora Wings "Circe Lounging with Lion and Flowers." This is a very detailed, challenging image to work with but reward when its all finished is soooo worth it!! I am completely in love with the final outcome here!! Isn't she just stunning!! The details in everything are just amazing!! The folds are her toga and all the leaves in the flowers. And don't get me started on that lion mane!! LOVE!!! I took our Celebration theme a little different direction this time. Rather that celebrating and event I thought we would have a personal celebration! I love this quote and I think it does so much to build a person up!!! 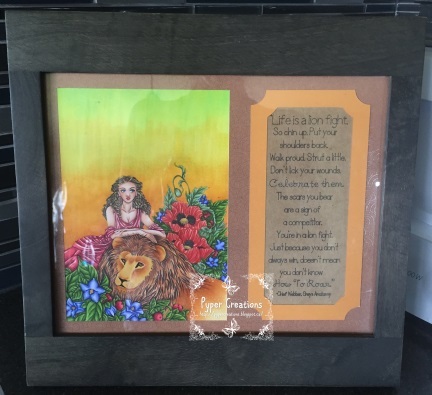 I framed it in this beautiful dark brown frame that would go well with the other colors used but also help pop the sunset background. Please make sure you stop by the Aurora Wings Challenge Blog to enter as well as check out the rest of the design teams projects!!! Make sure you come by this Friday as well!! It's new release day and all of the Aurora Wings Design Teams have been collaborating to give you some AMAZING inspiration with the images being released!! 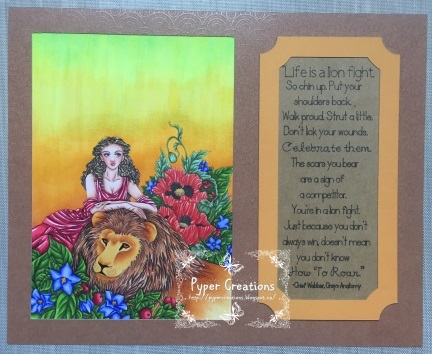 Check it out on the Aurora Wings Showcase Blog! !